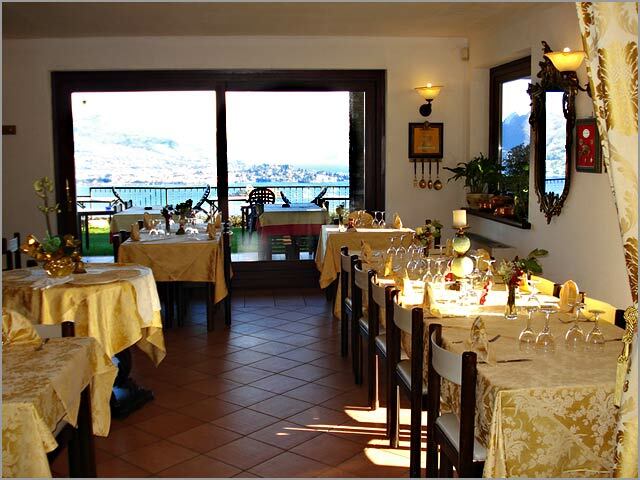 Ristorante Settimo Cielo is located in Campino a little village above Stresa and Baveno. Its panoramic position is simply unique. 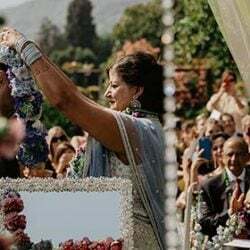 Here you would have an enchanting view on Lake Maggiore overlooking Stresa, Baveno, Borromeo Gulf, Isola Bella, Pescatori Island, Isola Madre, Feriolo, Fondotoce, Suna, Pallanza, Laveno, Alps up to Switzerland border. 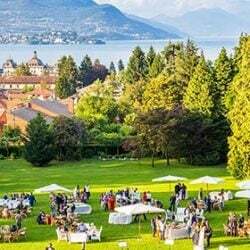 The amazing position of the restaurant makes it one of the most spectacular venue for weddings on lake Maggiore. Your guests will be just amazed! At Ristorante Settimo Cielo you will find a wonderful scenario. A timeless venue where you will really feel the scent of the Lake, a real party for your soul! Translation for Settimo Cielo is Heaven on Earth and you will really feel like you are there. Heaven on Earth not only for the view on Lake Maggiore but even for the famous cuisine. No creativity or innovation only traditions, ancient tastes and perfumes of traditional Italian cuisine. 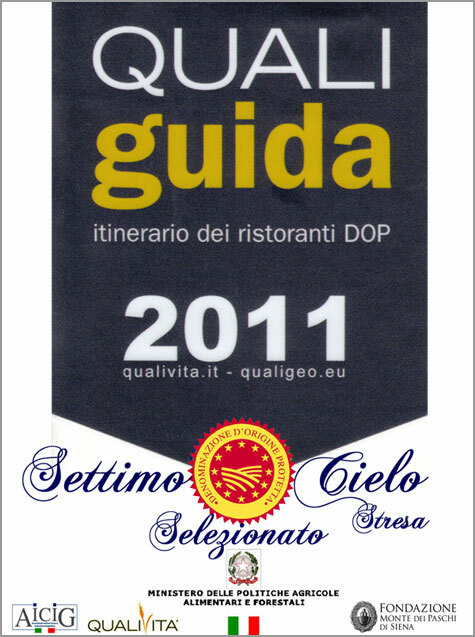 Ristorante Settimo Cielo in Stresa was one of the 4 restaurant on Lake Maggiore who received from Ministero delle Politiche Agricole (a governmental agency) the award for Ristorante DOP (Denomination of Protected Origin). As Pino Greco – chef and manager of the restaurant – says At Settimo Cielo we cook the history of cuisine. Here you won’t fine elaborated courses or nouvelle cuisine dishes. At Settimo Cielo you will find great specialities of Italian cuisine history. Side of wedding reception here you can plan other personal events like rehearsal dinners, day after events or even company events etc. Chefs will suggest yiu regional specialities inspired to four seasons caring about original ingredients and receipts. The final result will be delicious dishes from mountain to lake traditions, to important cities and regions receipt and even to seaside specialities. The great menu choice, great wine cellar, interesting vegetarian and celiac menus make Ristorante Settimo Cielo a must in recent Italian cuisine and gastronomic history. Ristorante Settimo Cielo has a wide terrace with a lovely garden overlooking the lake, just perfect for welcome aperitif and cocktails. Elegant rooms inside with bar and wide parking area complete the venue. 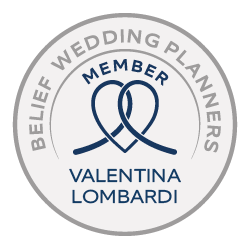 Planning your event to Settimo Cielo will be like going back in time, far from trends of the moment to re discover a traditional but still elegant environment together with a rich and antique cuisine that will make your wedding really different! Let’s not forget about the fantastic view….it will leave you speechless! 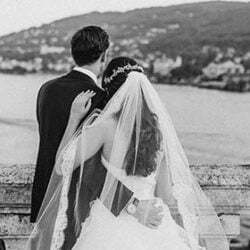 If you are looking for a special and unique venue come and see this special restaurant on Lake Maggiore!